Balterio Traditions 8mm laminate flooring offers a traditional and classic look. With 5" or 7 1/2" wide boards, these plank laminate floors offer the durability and style that you want. The four-sided Micro-V groove gives the look of a real wood floor. Balterio also offers edgetec which means that the edges of the boards match the decor of the plank. 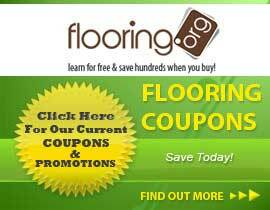 This gives a more realistic look than what is offered by other brands of laminate flooring. Balterio offers fewer plank repeats and larger patterns than their competitors. The high definition decorative layer is protected by a water resistant Durashield top layer. The colors in Traditions 8mm flooring each come with a technique or finish that adds to the realism. Rose Teak and Almond Maple have True to Nature, Honey Cherry has a Fine Woodgrain Structure, and Antebellum Oak has a Mat Oiled Finish. True to Nature touch gives the look and feel of a real wood floor, Fine Woodgrain Structure creates the lifelike effect of a wood-fibre structure, and Oiled Finish gives the impression of a real wood structure and a silky touch. Traditions 8mm comes with a 25-year residential warranty and a 10-year commercial warranty. It is unlikely that you would need to replace your Balterio laminate floor while you live in your home. The click installation system has a lifetime warranty. Buy something you can count on when you get Traditions 8mm laminate by Balterio! We offer prices that make this an even better investment.